I'm not quite sure when it was - either around Christmas last year or the year before that - but I watched a ranking show (for lack of a better word) about Hesse's most beautiful castles and honestly, I was quite surprised when it came to the number one. In first place out of 43 listed castles came Schloss Berlepsch. "Schloss what? ", you might rightfully ask as I don't think even too many Germans had previously heard about it. Going to Schloss Berlepsch feels a bit like going to the end of the world. I did so on my way back from Bergpark Wilhelmshöhe as it wasn't too big of a detour on the way home. However, on the way, the villages got smaller and smaller, more idyllic and idyllic. Located pretty much on the border between the German states of Lower Saxony and Hesse, the Schloss lies nestled away in the hills near the small town of Witzenhausen. 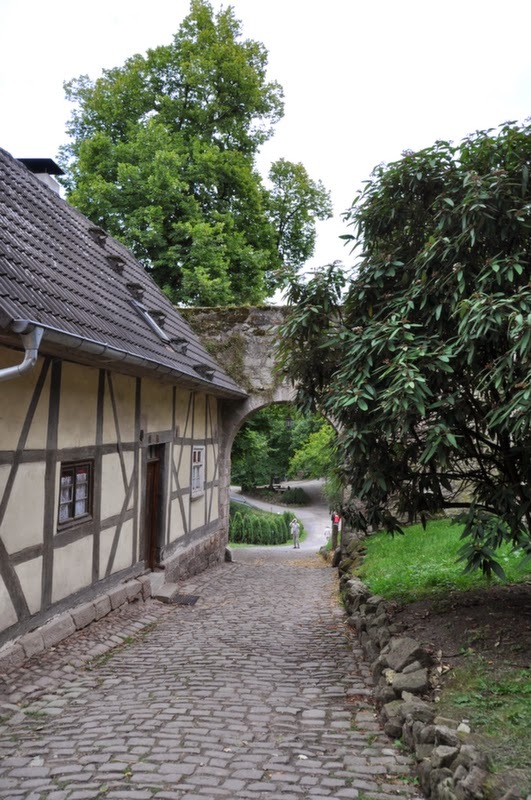 After the destruction of their ancestral seat Barlissen near Göttingen, the Berlepsch family moved to the area near the Werra river during the 14th century. 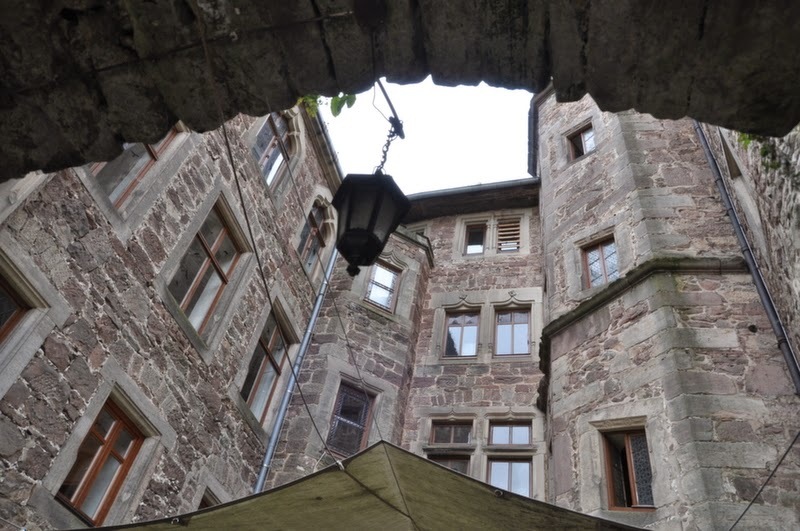 After firstly living in a castle owned by the Landgraves of Hesse, Arnold of Berlepsch built the origins of Schloss Berlepsch, which were known as nuwe Hus Berleybischhin (new Berlepsch house), between 1368 and 1369. After the death of Arnold's childless son Hans of Berlepsch in 1392, a relative, Thilo of Berlepsch, took possession of the castle against the will of Landgrave Heinrich II. As a result, Hessian troops marched against the castle and it was destroyed in 1400 and later rebuilt. 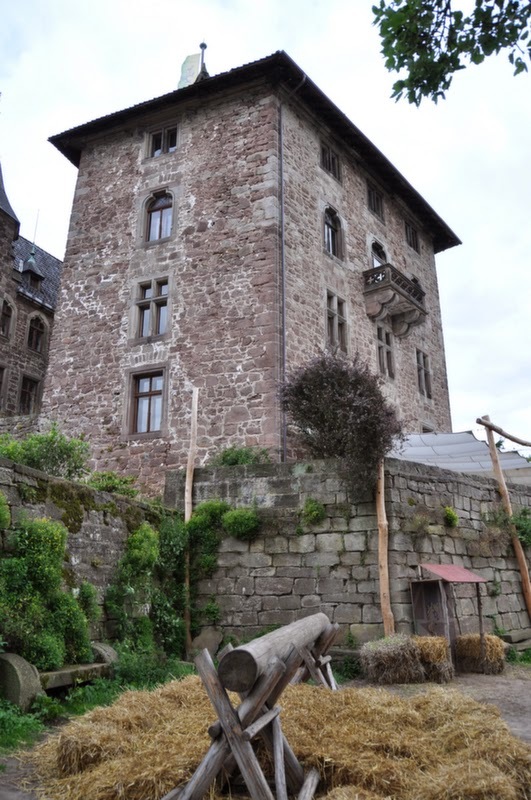 In 1461, the knight Sittich of Berlepsch was given the castle as a fiefdom. He expanded the castle by strong fortification walls as well as towers and outer wards. About a hundred years later, a Renaissance portal was added to the stair tower. The Thirty Years' War, which caused havoc througout central Europe between 1618 and 1648, also had great influence on Schloss Berlepsch. In 1623, the troops of Count Johann Tserclaes of Tilly pillaged and threatened to burn the castle. Two years later, the Wallenstein's troops savaged the Schloss before Tilly's soldiers devastated it once again in 1631. In addition, both Johann of Aldringen and Otto Heinrich Fugger and their troops also came across the region and caused damage to the castle. 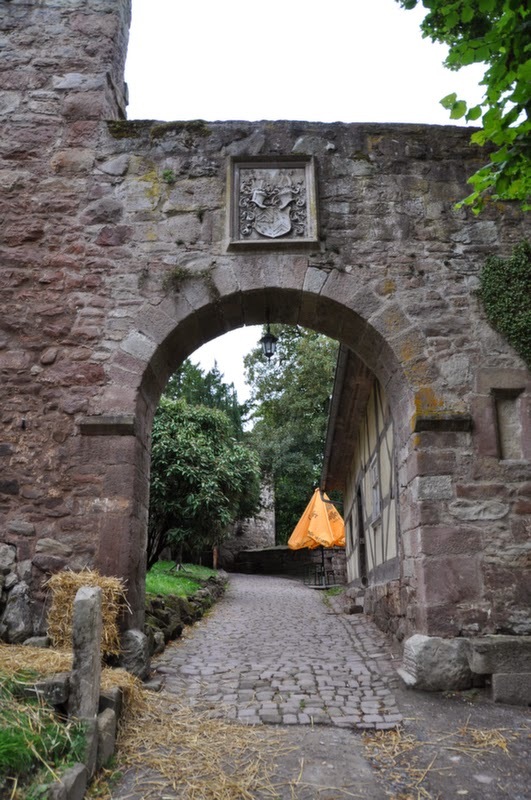 During battles in the region surrounding the castle between Hessian and Brunswick armies on the one side and the troops of Count Gottfried Heinrich of Pappenheim on the other in the spring of 1632, the latter took Richard of Berlepsch as hostage due to unpaid taxes. Two years after his redemption, Richard of Berlepsch died in 1635. 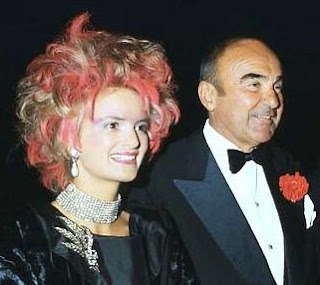 During the following years, the fortune of the family diminished further and further as they were not able to farm their estate due to the ongoing war. However in the end, Schloss Berlepsch survived the war despite another few battles and lootings. On August 14, 1801, Schloss Berlepsch received its most famous visitor when Johann Wolfgang von Goethe paid a visit to the home of the Berlepsch family. At the time, the castle was owned by the high official at the Hanoverian court and publicist Baron Friedrich Ludwig of Berlepsch. Between 1881 and 1891, Count Karl and his son Count Hans of Berlepsch gave the castle its current shape through various renovations and alterations. Planned by architect Gustav Schönermark, these changes are a prime example of the Hanoverian neo-gothic style. 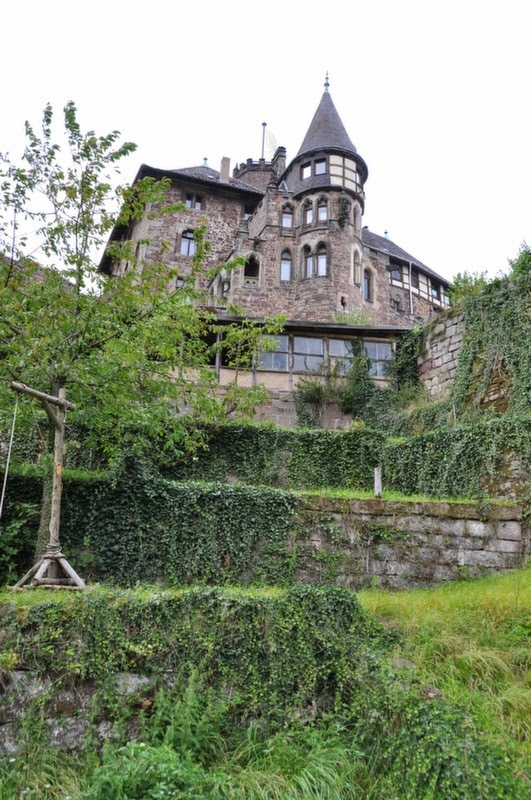 After the end of the Second World War, Count Hubertus of Berlepsch opened a hotel and a restaurant at the castle. Both were closed in 1980 when Count Hans-Sittich of Berlepsch turned the castle into a Sannyasa centre for followers of Bhagavan-Hinduism. 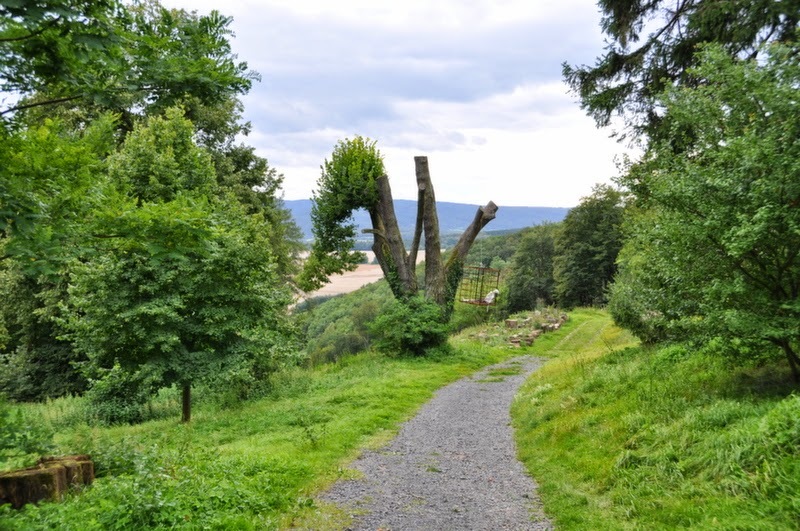 Already two years later, the Sannyasa centre was closed and its inhabitants moved to the Hübenthal estate of the Berlepsch family where they continue to live to this day. Up until the early 2000s, nobody was allowed to enter the castle grounds and apparently not even to publish pictures of it. This changed a few years ago and Schloss Berlepsch is now open to the general public once again. 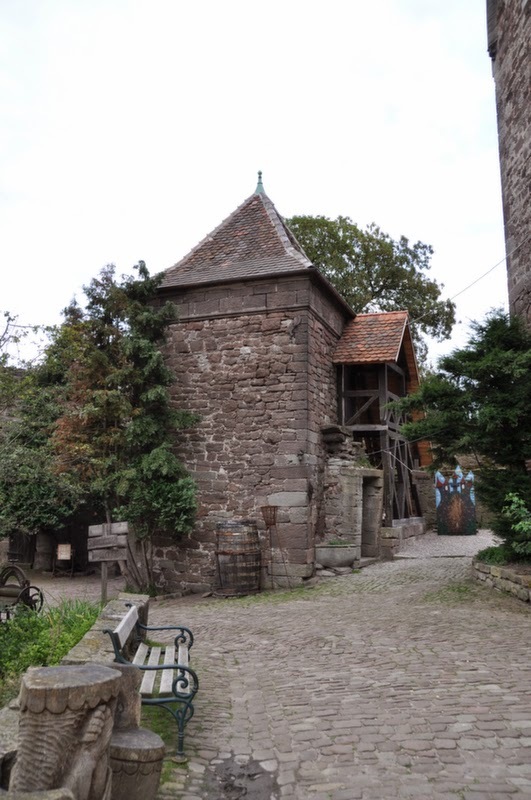 As we were on our way from Kassel back home, we didn't arrive in time for any of the guided tours so we simply had a stroll around the castle grounds and the surrounding part, which also includes a church and the burial grounds of the Berlepsch family. 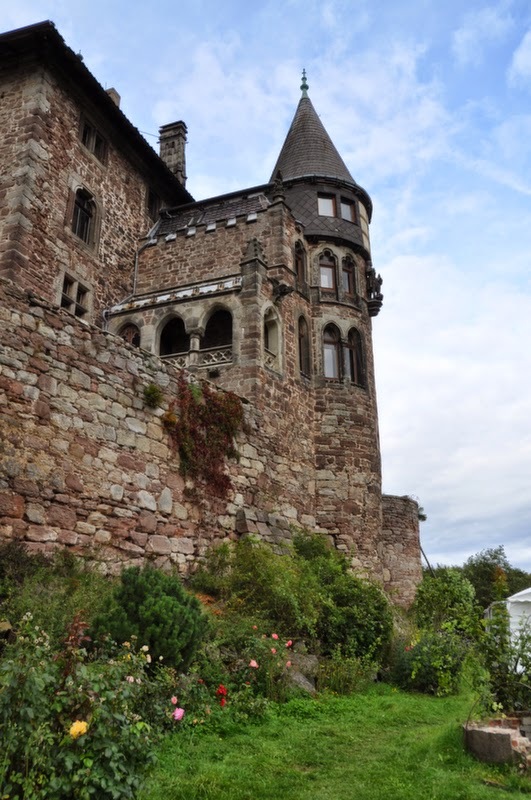 And while I don't know whether it is indeed Hesse's most beautiful castle, it certainly has its charm. Being quite remote and tucked away into the hills, you almost feel a bit like being back in the Middle Ages, which is helped by the fact that the medieval topic is also picked up by the offered activities such as archery or a smithy as well as a restaurant featuring medieval food. The restaurants (and thus the grounds) of Schloss Berlepsch are open to visitors from around 12 to 9pm. Guided tours through the castle are offered Wednesdays to Fridays at 3pm as well as on Saturdays, Sundays and holidays at 12, 2 and 4pm. The tour costs 8 euros per person (above the age of 12). For more information, have a look here.